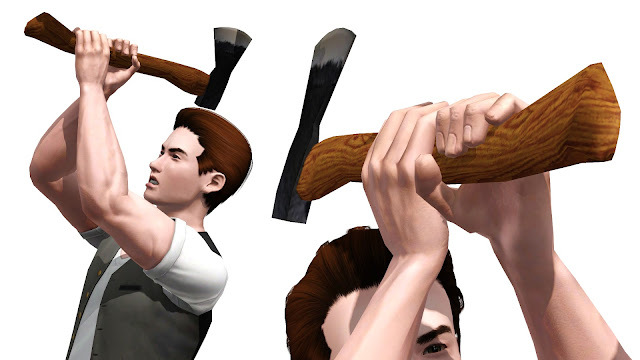 The Sims 3 & 4 Downloads... just scroll down to see more. 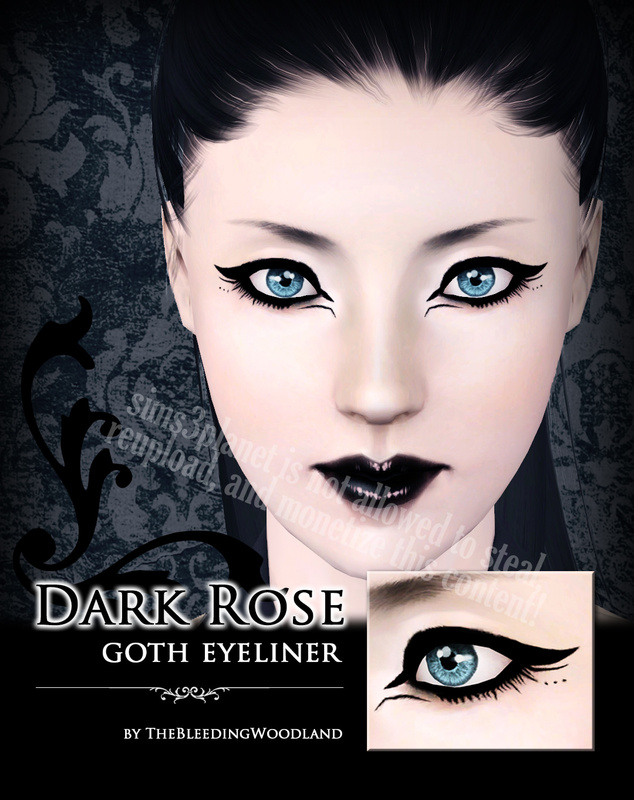 These are conversion from TS3 version. 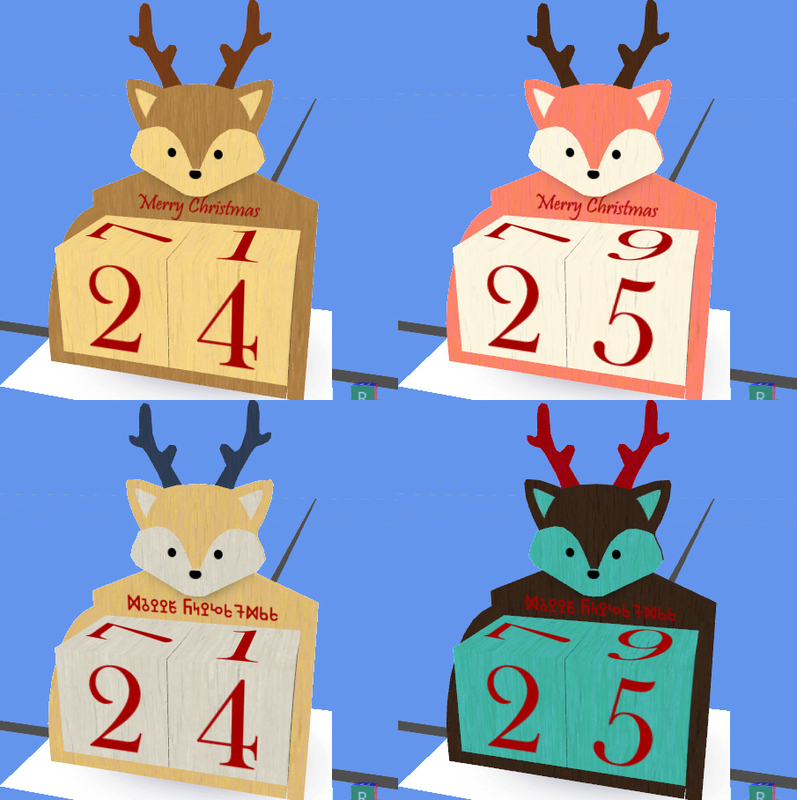 English & Simlish swatch. 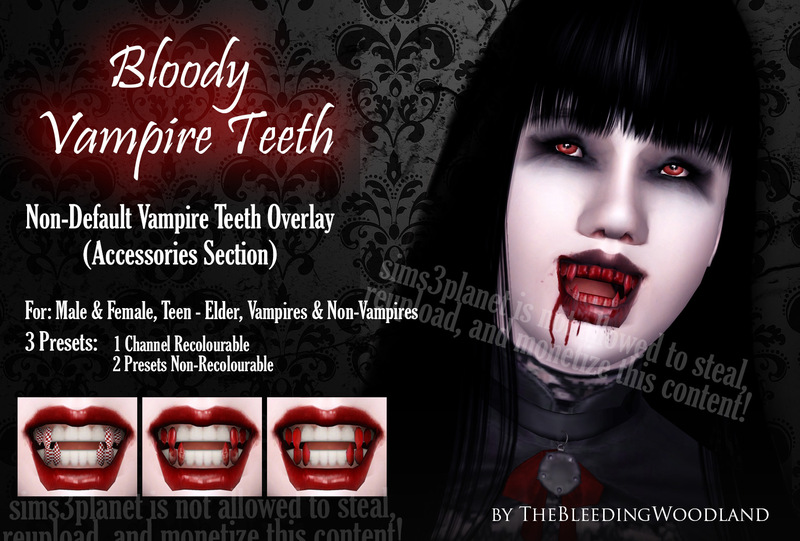 Non-default vampire teeth overlay (the vampire teeth is unlocked from EA), base game compatible. WARNING! 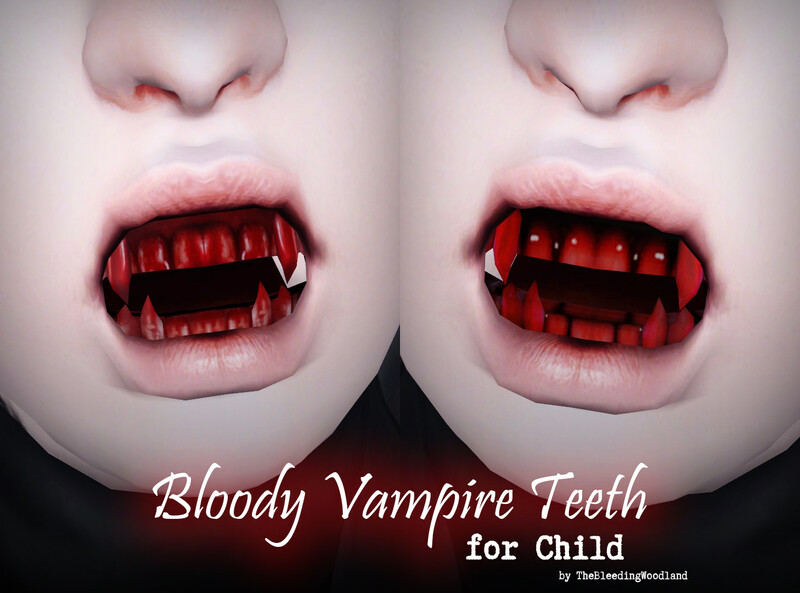 This vampire teeth for Child is for photoshoot only, not for regular gameplay, because there is error by EA/TSRW that I'm as CC creator unable to fix. 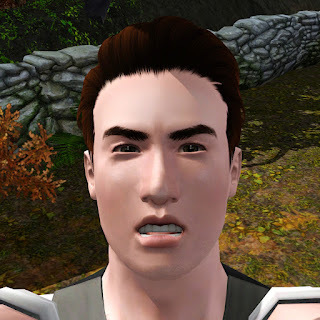 Do not save the game with this vampire teeth. 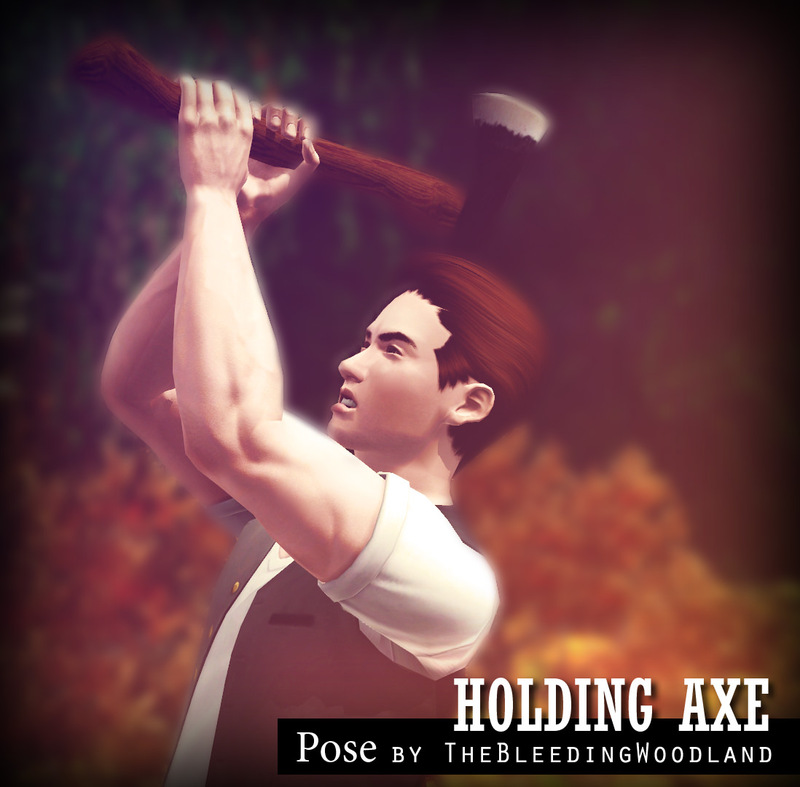 If the game loaded save game with vampire teeth, the Child head would disappear. 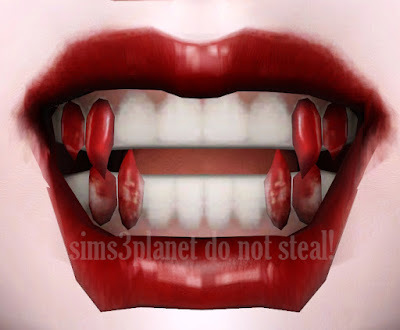 To fix disappearing head, remove the vampire teeth in CAS by clicking the vampire teeth thumbnail. 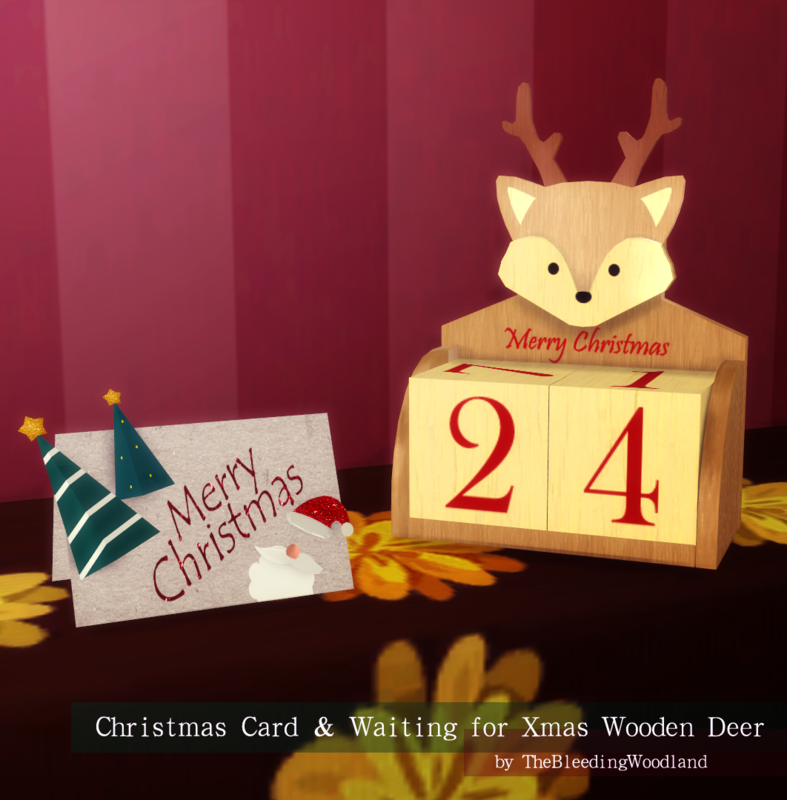 This is my food gift for your Sims while waiting for Asian Games 2018, which is held in my country. "Sweet martabak" or martabak manis or kue terang bulan is Indonesian sweet pancakes. 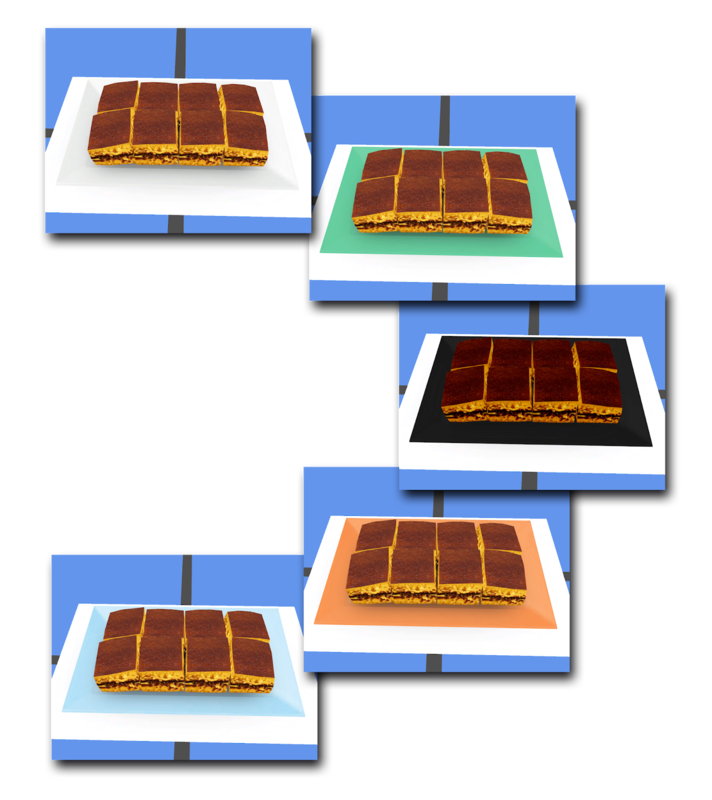 There are two types of martabak, sweet and savory, but the sweet one is the most common. 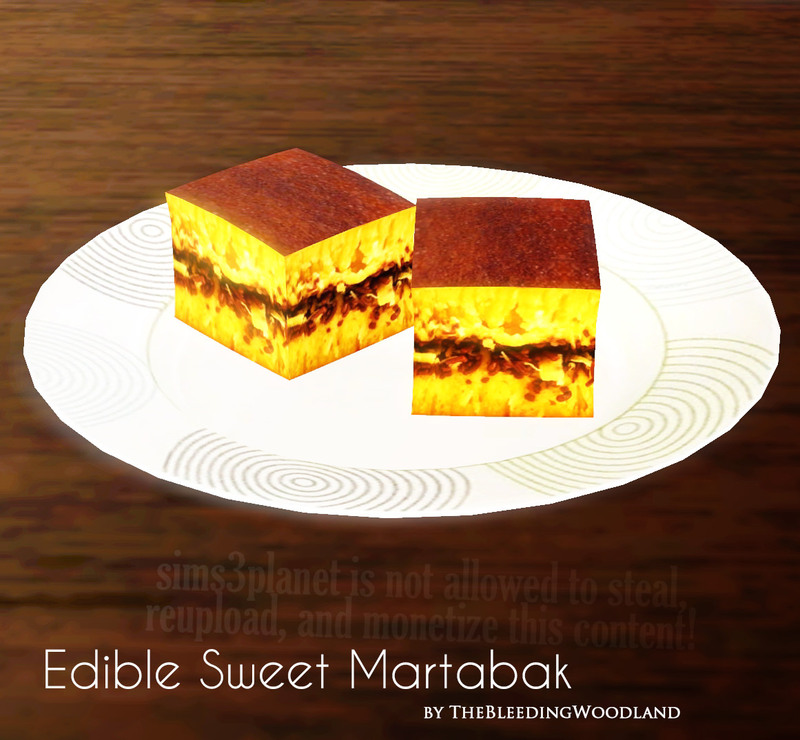 This sweet martabak is different from savory martabak which originally from India, sweet martabak is originally made by Chinese descent in Indonesia on Bangka-Belitung island. Filler: Chocolate / nuts / cheese / sesame, or combination of all of them. 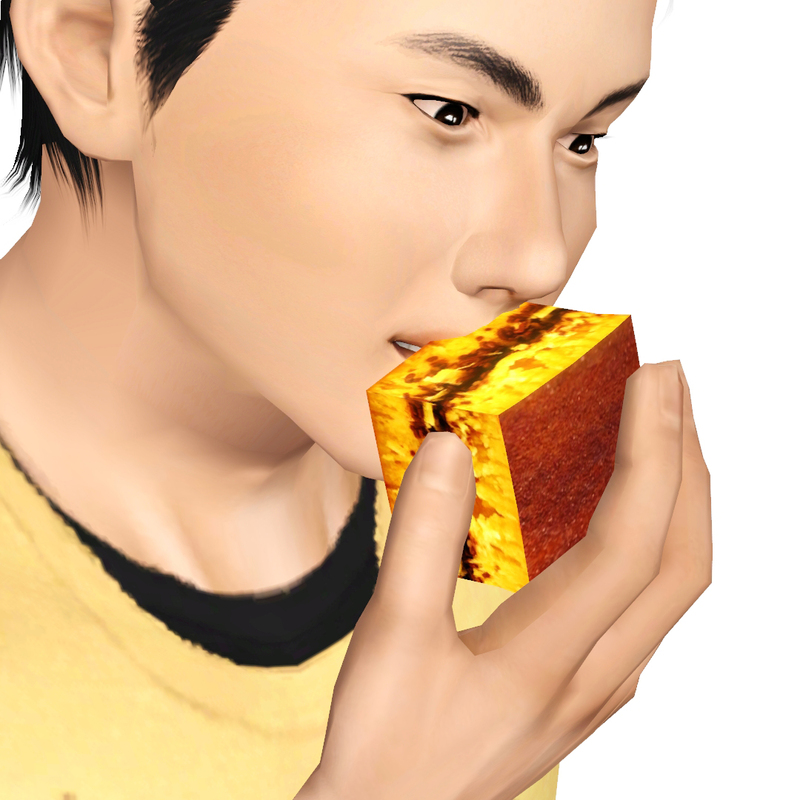 Just place the food object on table then eat it or eat it straight from Sim's inventory (drag food object into Sim's inventory). 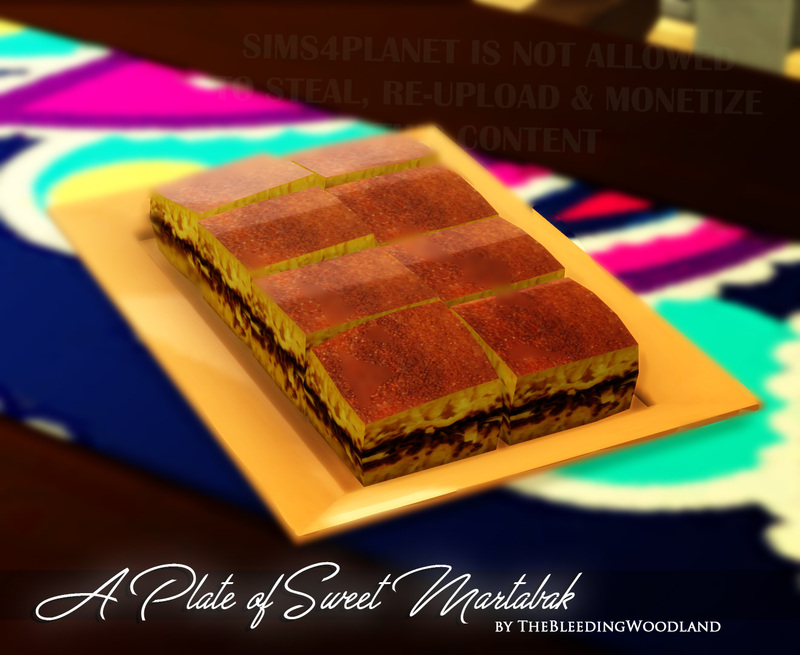 Bonus decoration: You can put the edible food objects using OMSP mod on plate CC. 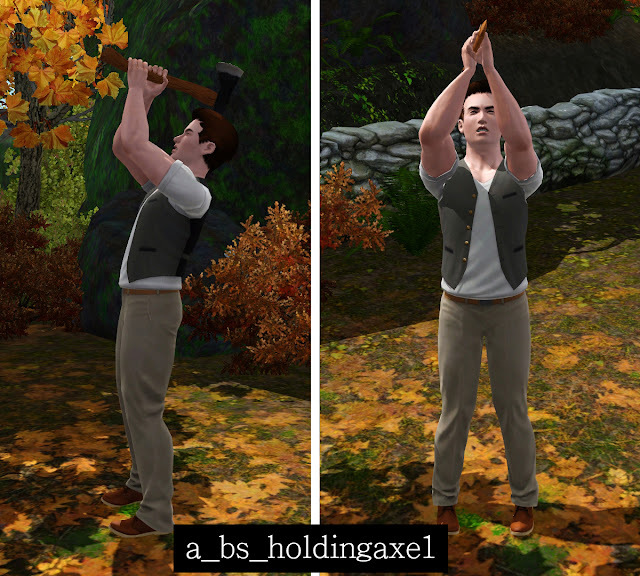 *Warning: Sim cannot pick up food from OMSP, make sure it's just for decoration. 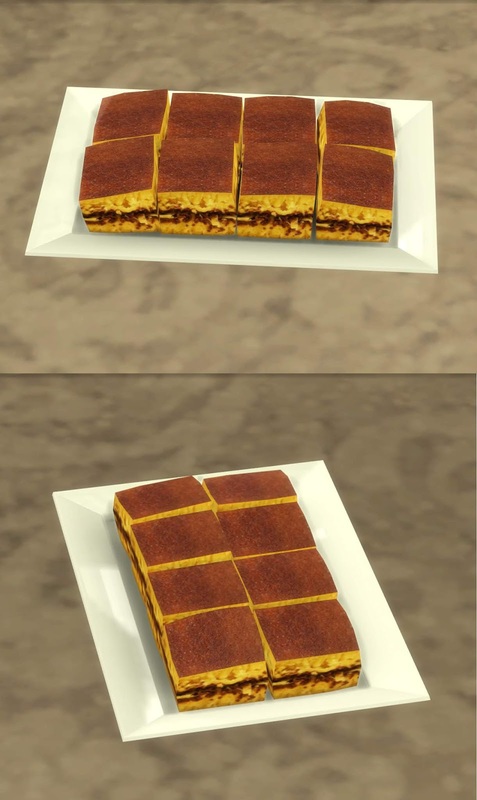 This edible food object works in your game without installing NonaMena's script mod, but it has no moodlet. For Male & Female, Teen - Elder. If the vampire teeth doesn't change the color after clicking the thumbnail, change the Sim's age group to other, then back to the appropriate age group in CAS. I’m BloodyScholastic. 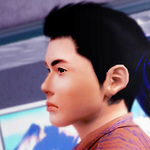 I’m custom content & Sims creator, exclusively for The Sims 3 *also now TS4* I've created custom content since 2012, which were started for TS2. 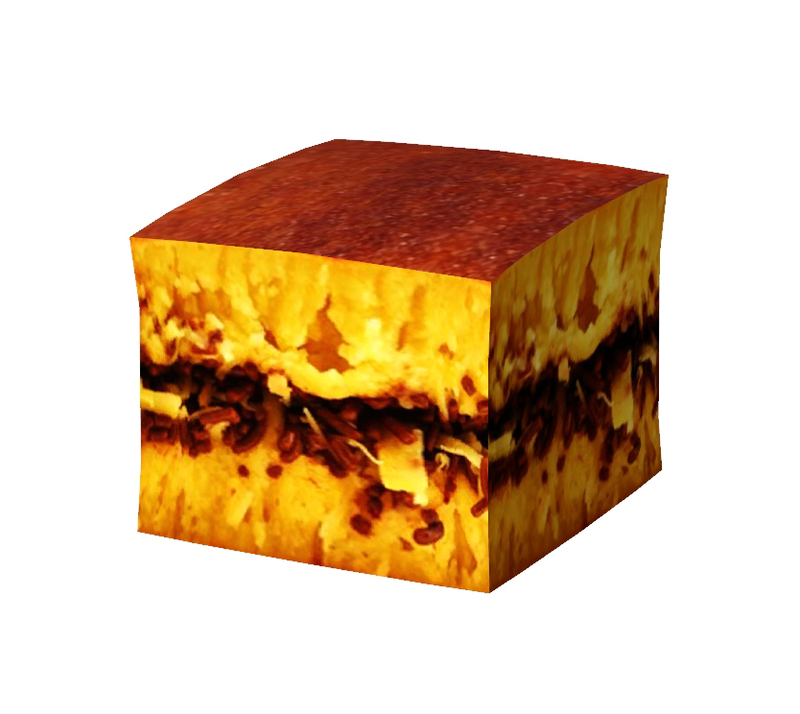 All meshes are 100% made by me, no conversion from 3d models, no EA rip. I create what I like. I am a perfectionist, I prioritize quality for content, also creating custom content as an opportunity to practice my 3D modeling/meshing.
. Do not convert my CC without my permission.
. Do not reupload my custom content to other sites.
. Do not monetize my custom content.
. SIMS3PLANET/SIMS4PLANET / ANY RUSSIAN SITES IS NOT ALLOWED TO REUPLOAD AND PUT MY CONTENT BEHIND MONETIZING LINK!